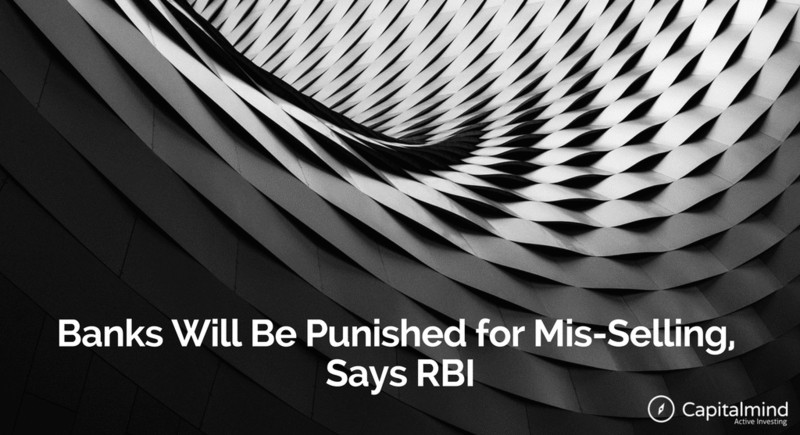 RBI has finally decided to give bank customers a place to complain about mis-selling. The banking ombudsman – an RBI level complaint if you aren’t happy with the bank’s grievance process – has been changed to allow you to complain that banks are selling you things that they aren’t supposed to. Banks routinely sell insurance to customers. Many times, such customers are not aware of the product they are buying or whether it’s suitable for them. The bank employees should make checks to see if such products are right – for instance, selling insurance products with regular premiums, to a retired 65 year old person, is plain mis-selling. Non disclosure of commissions, or of product features, or even of the fact that you can complain against mis-selling, is not allowed! You can submit a form, and the new clause above allows you to tell them that you’ve been mis-sold a product. The good thing is: if this process scares you because it takes time, the Ombudsman can actually charge a penalty to the bank if it finds them guilty, and you’ll get paid for the time as well. Typically an ombudsman ruling requires follow-up, but at least now the process is available to you for being mis-sold products as well. This is a negative for banks of course, because any such law hurts their bottomlines. It’s probably negative for insurance companies. Mutual funds might escape, somewhat, because banks are not as interested in selling them as they used to be. However, we should wait for strong rulings to see if the change in the scheme will be implemented as we expect. Let’s hope that bank mis-selling will be a way of the past.